On November 9, 2008, near Kiribati in the Pacific, a Korean ship came alongside Tai Ching 21. The Taiwan-flagged fishing boat was eerily silent. Three life rafts were missing, and all 29 of the Taiwanese officers and Chinese, Indonesian and Filipino crew. A quest to discover the men’s identities led journalist Michael Field into a dark world of foreign-flagged vessels fishing the waters of New Zealand, other Pacific nations, and the Southern Ocean. He uncovered brutality, misery and death – and impending ecological disaster: the destruction of the last great southern schools of fish. With researchers from University of Auckland, he forced the New Zealand government to take action – but with huge money at stake the plunder and appalling working conditions continue. 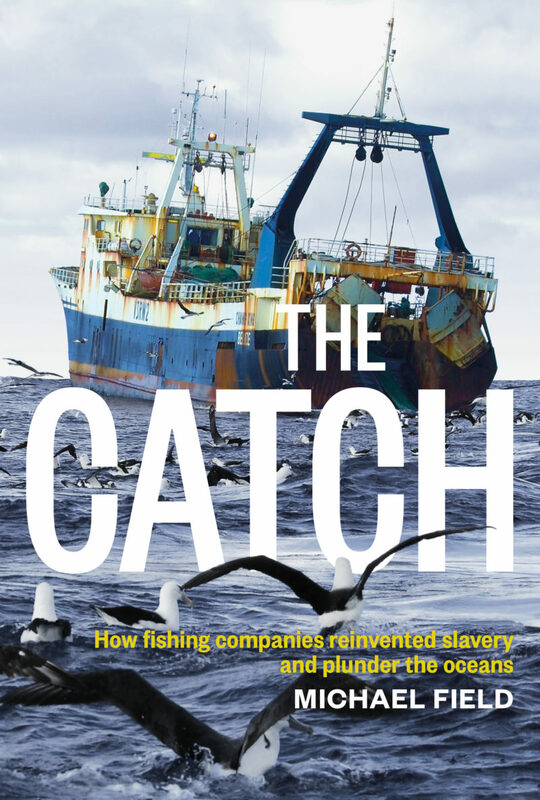 And more and more boats are now risking lives and maritime disaster heading south to catch toothfish, most destined for New York restaurants and Las Vegas casino hotels. Read Michael Field’s Sunday Star-Times piece about the anti slave fishing bill here. Listen to an interview on 612 ABC Brisbane with Michael online here. Michael Field had a great interview with Wallace Chapman on Sunday Morning. You can listen to the full interview here.